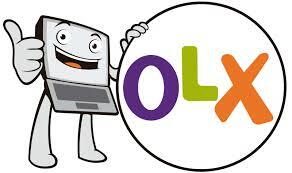 Welcome to the next generation of free online classified, not any other but OLX. Technology has made shopping a breath of fresh air, now you can just surf the internet and get everything you need and what better way to get everything but through OLX. The online web portal provides a simple solution to the complications involved in selling, buying, trading, discussing, organizing, and meeting people near you, wherever you may reside. It is as easy as picking up an item from the shelf and placing it in your shopping basket, of course it will save you the hustle of first window shopping in all the malls and the dealers in the cost you are in, not forgetting the extreme temperatures and disappointing prices and…. well the list is endless; but thanks to this portal you can either buy or sell it online here on OLX. The big advantage of this web portal is that it is used OLX is used in over 106 countries in 40 languages so it will work for anyone regardless of where they are. It is a worldwide web currently working in several countries, and it offers a wide range of services, from education, fashion, home, vehicles, art and jobs, as well as the buying and selling of all type of products. OLX is the next generation of free online classifieds. Whether you are looking for something to buy or looking for a platform to sell what you need and get some cash, your answer is OLX. You can wait for about a week and you will get your item sold.